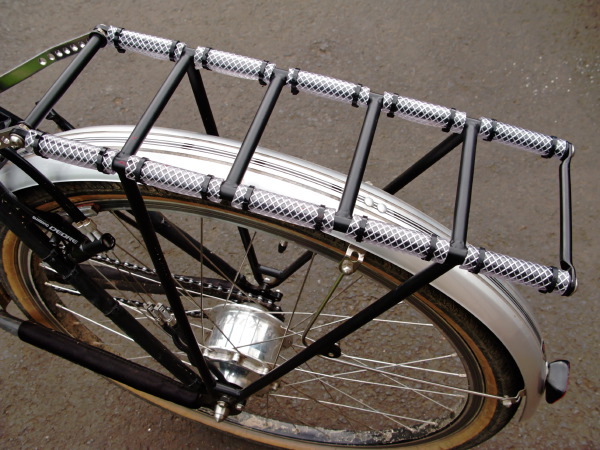 Ortlieb panniers come with small plastic inserts to allow a snug fit to a variety of bike racks. 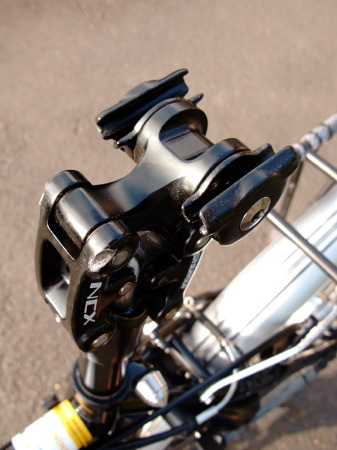 There have been numerous reports from other cycle tourists that these inserts can come loose and get lost resulting in a rattling rack set up. 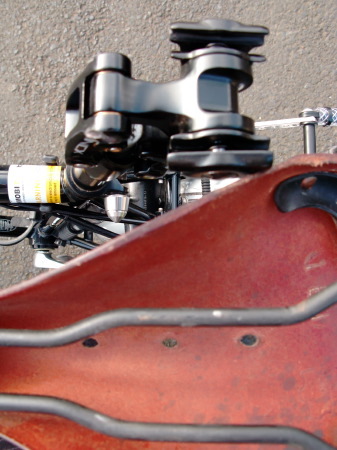 On a long tour the pannier mounting hooks can also get a lot of wear and tear as can the pannier racks themselves. Repeated rubbing against the rack rails can damage the powder coating and steel racks can begin to rust. 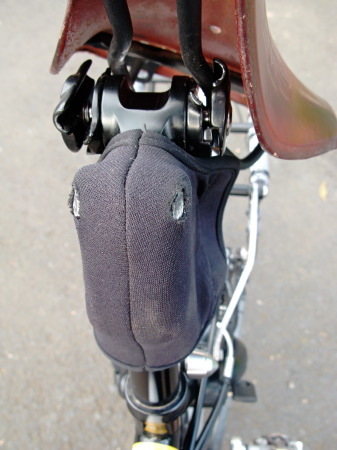 Having seen other bike tourers’ attempts to reduce this with gaffer tape or other material with some success I decided to try a more robust solution to address both problems. 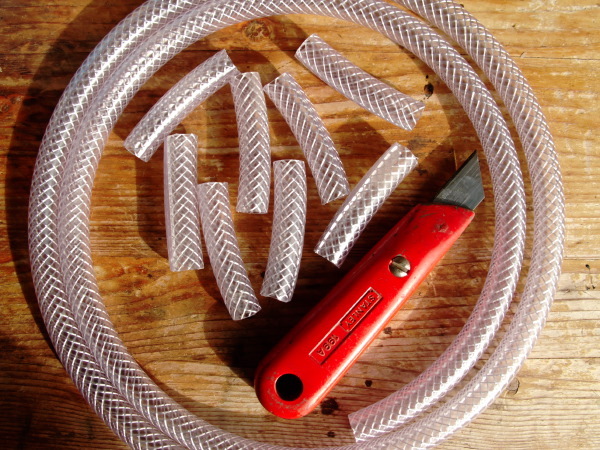 After scouring the internet I found some reinforced clear plastic tubing with an internal diameter of 10mm (the diameter of the tubing used on Thorn steel racks) and an outside diameter of 15mm (slightly smaller than the 16mm Ortlieb pannier mounts without an insert). After the North Sea Cycle route tour of about three months in 2013 there was little noticeable wear on the protective tubing. After the second trans-Europe tour in the Summer of 2016 there was still little wear on the rack tubing. It works well and is not an expensive solution! This entry was posted in Bike, Gear, Modifications, Preparation on January 23, 2017 by Richard. The Thorn Raven Tour is equipped with a Rohloff 14 speed internal gear hub. One nice feature is that the single drive cog can be reversed so that additional kilometres can be obtained from it as it wears. 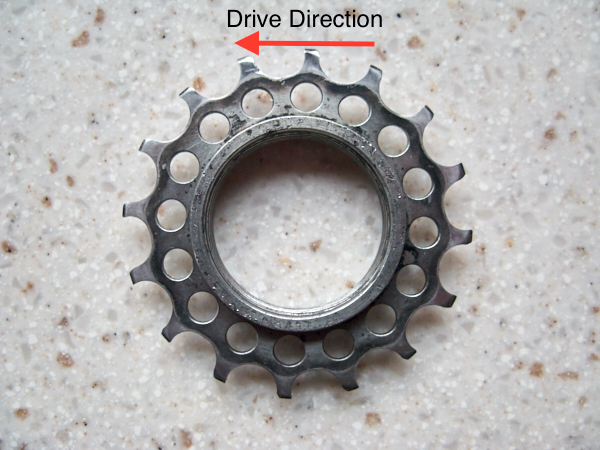 Being a single cog it functions as a single speed drive with no lateral chain movement hence less chain wear compared to derailleur gear systems. I like both derailleur and internal hub gear systems. I prefer the Rohloff hub for reliability and durability on long tours. So far there have been no problems with the Rohloff on tour. 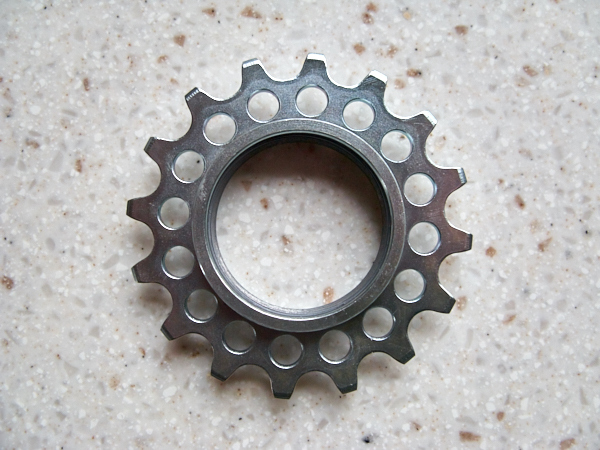 The cog above was used on my first long tour of 6124km back in 2013. It was reversed about half way through that tour and reversed again prior to the summer 2016 trans-Europe tour. The picture shows the cog and drive direction at the end of this second 4326km long tour. It has since been reversed again as the ‘shark fin’ wear pattern had become quite pronounced. I hope to get another 5000km (or more!) from the above cog before fitting the new one below! 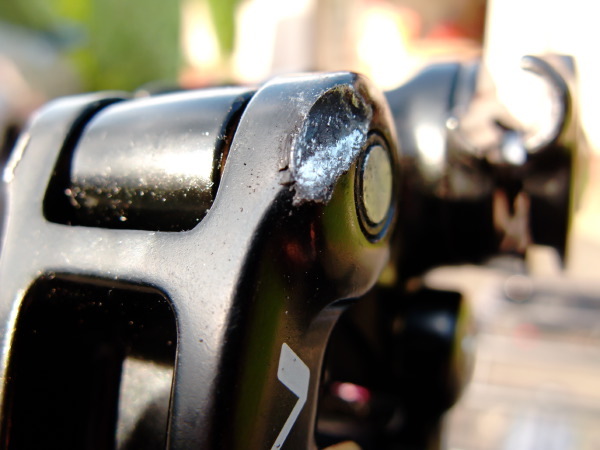 If you have a Rohloff on your bike, how many kilometers/miles have you squeezed out of your rear cog? This entry was posted in Bike, Gear, Reviews and tagged bike, equipment, reviews on January 22, 2017 by Richard. The Brooks B17 Select is the latest model of the long running B17 classic from Brooks England. 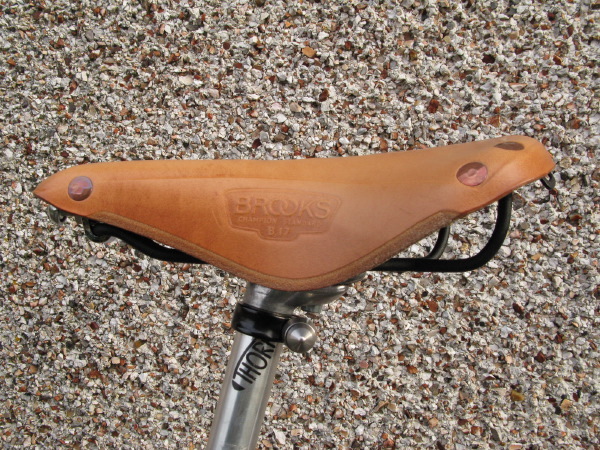 What attracted me to it was the claim that it was a bit thicker than the standard Brooks B17 and suited to long-distance use. The fact that it was made from organic Swedish cow hide and was a natural un-tanned leather made it even more interesting. I had read that world travellers had sometimes reported that after serious and sustained abuse, the standard B17 could become a bit soft. Not that many complained about that fact, indeed the B17 was up to the job, though the Select model seemed like it would stand up to even more punishment. It was a new model and I was intrigued to see how it would perform. After almost 500km in the saddle, it is becoming supremely comfortable. 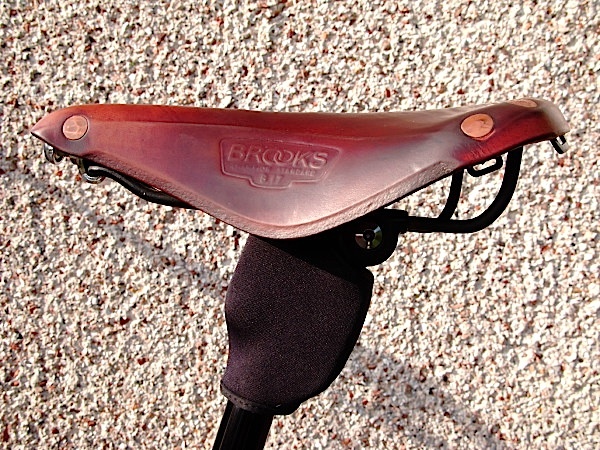 Some may never find that a Brooks is the saddle for them, but for what seems like the majority of long distance cyclists, the initial discomfort is worth it. 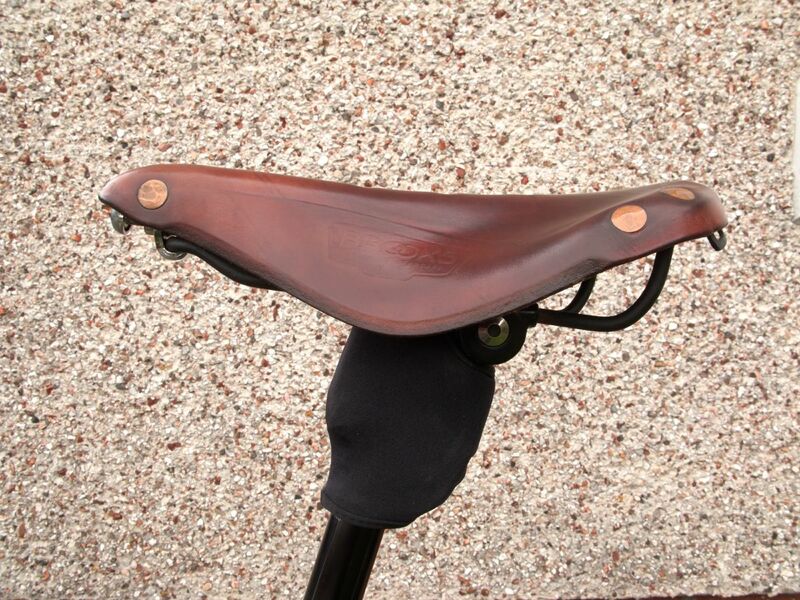 Its worth the perseverance in case you miss out on a great touring saddle. Being of natural leather it would develop a ‘patina‘ over time adding to its unique appearance. 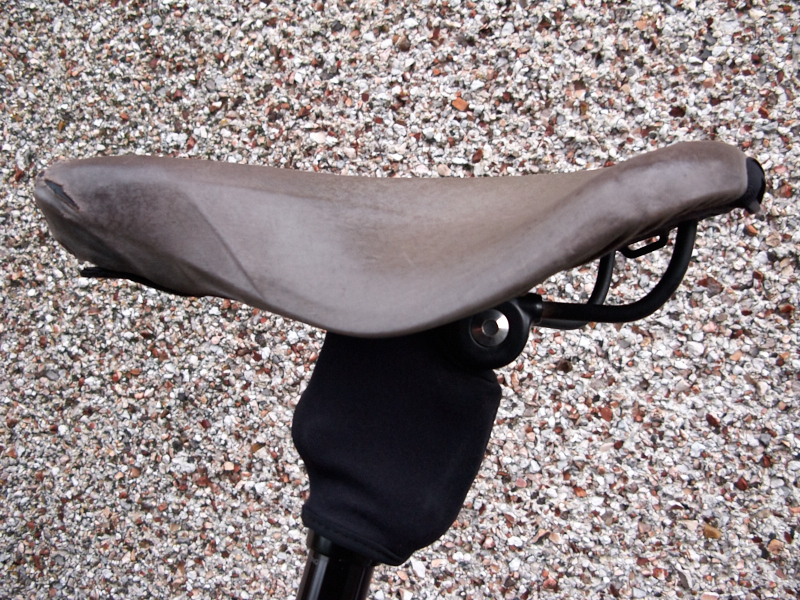 Documenting the changes in the saddle over time seemed like a good mini-project. 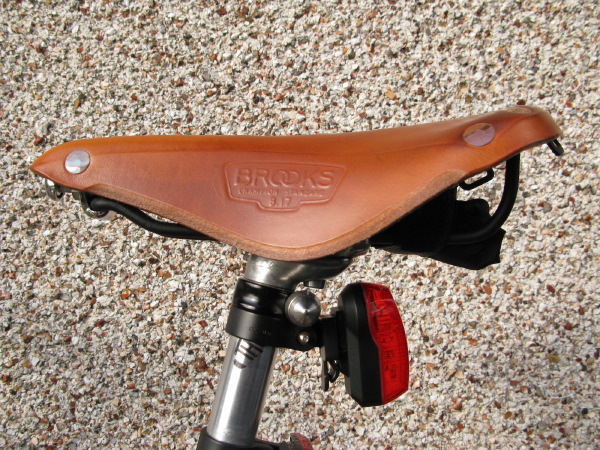 This entry was posted in Bike, Gear and tagged bike, components, saddle on May 28, 2012 by Richard. 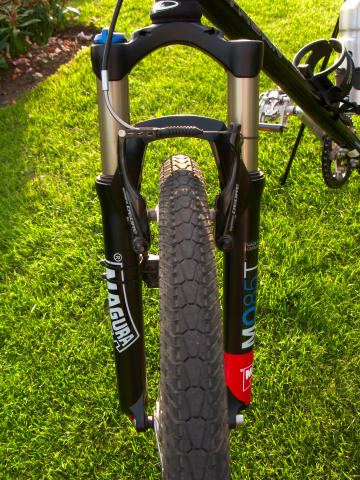 There is some discussion about adding a suspension fork to a traditional touring frame on various forums. It appeared from the internet that a maximum of 100 mm travel may be acceptable for the Thorn Raven Tour. 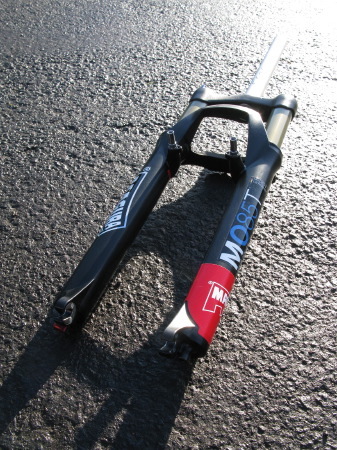 Back in 2009 in fact Thorn offered the Magura Odur 85 mm fork as an option. 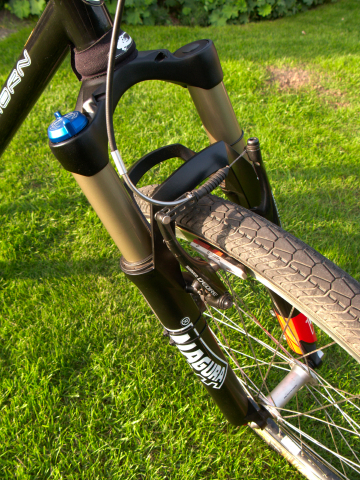 The Magura Menja is of the same solid design but is an air fork. 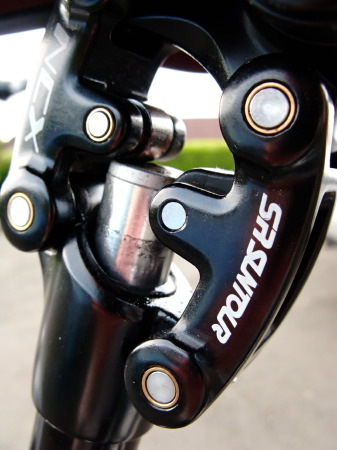 Forums confirmed that there were Thorn Raven Tour owners who had had few problems using the short travel 85 mm Odur fork. It was important it seemed not to affect the geometry of the bike as this can affect stability and steering. Tom of Tom’s Bike Trip has a good review. There is a great four-part video series showing the bikes in action. So the search was on! 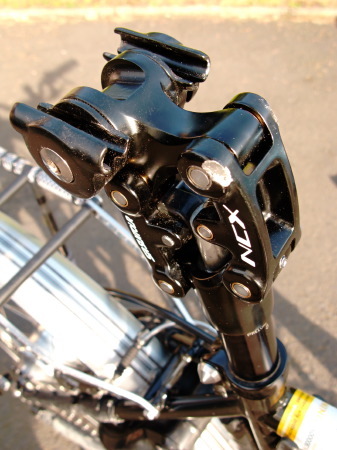 The Magura Odur fork had, much to the dismay of many expedition tourers, been discontinued in 2009. It was a solid, German manufactured coil spring fork. Were they still available? After over an hour of ‘Googling’ I found a web site in Tallinn, Estonia that appeared to have one in stock. Being so rare, I immediately contacted the shop. After a few emails to the very helpful Rauno at VeloPlus confirming steerer length, V-brake fittings, other specifications, and checking the business out, I transferred the funds and a week later it arrived. It is indeed a solid basic fork fit for purpose. Spare parts and the service manual were found on-line so I should be covered for future maintenance. I was now one step closer to an off-road tour. The Great Divide Mountain Bike Route was one trip at the back of my mind. 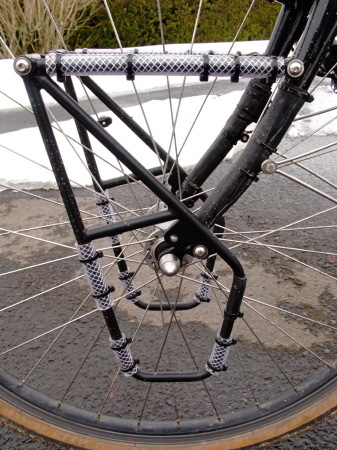 The Magura Odur would be perfect for the washboard tracks that apparently feature on the route. 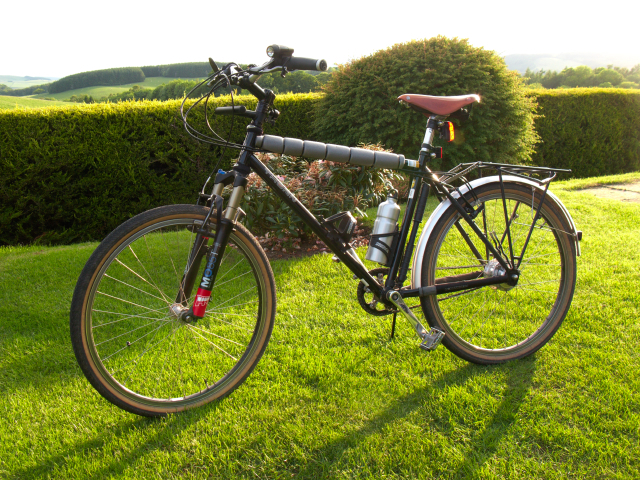 This entry was posted in Bike, Gear, Reviews and tagged bike, components, fork, reviews, suspension fork on November 17, 2011 by Richard.